Corelle 12 Pc Open Stock Snack Set Just $29.88! You are here: Home / Great Deals / Corelle 12 Pc Open Stock Snack Set Just $29.88! I Love Festive eating ware for the holidays! 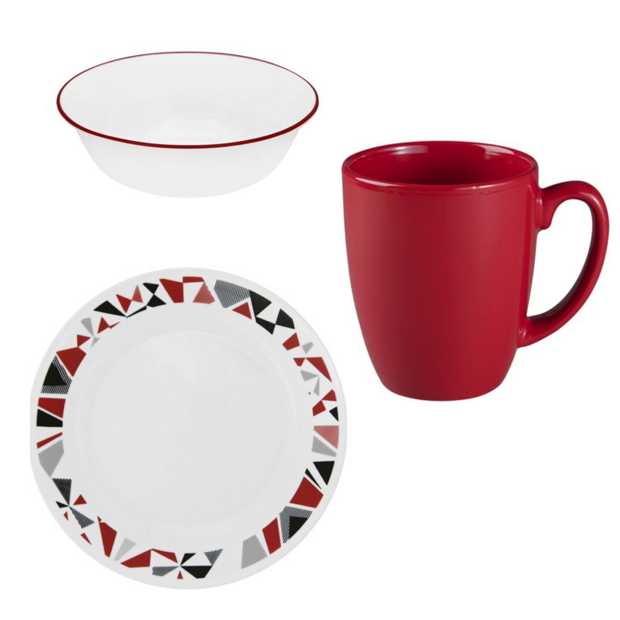 Head over to Corelle to check out their sale on Open Stock Pieces! Buy 12 and get 40% off automatically! Total for all 12 pieces after discount is only $29.88 or $2.49 each! Perfect to send home a 3 piece set with each of the grandkids to help them remember the perfect Christmas day!